In 2010 we are introduced the Fargesias species (Jumbos & Simbas) of bamboo which are the taller of the Fargesias bamboos but only grow to approximately 2M in height. Fargesias have slightly smaller leaves to the other similar looking bamboos in the Phyllostachys variety used in our range of medium bamboos and large bamboos. The Fargesias will replace all the existing Phyllostachys in the small bamboo hire range. Originating from central China where Fargesias can be found in the upland regions so they will survive in pretty hostile environments (including down to approximately –30C), so are ideal as hire plants, as they are more than capable of taking the additional stress that hiring puts on plants. Settings: To be used in smaller spaces creating a contemporary urban look, where a more delicate look is required. 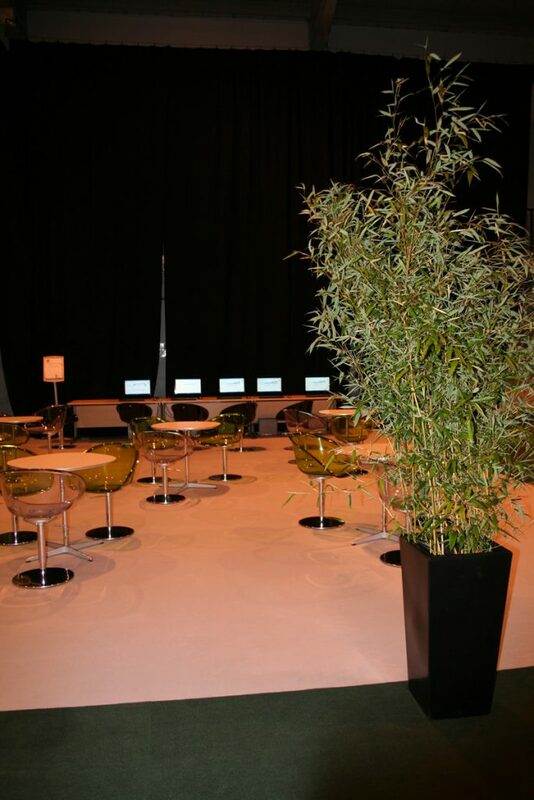 Other bamboo plants in the hire range include medium bamboo plants, Arrow Bamboo, large bamboo plants, also see our bamboo wall. If you are looking to hire bamboo call us 07929 121347 for a great quote.